Solitude: the state of being alone, or a lonely and uninhabited place. What does this word look like to me? Empty beach. Sunny day. Ocean water. Coconut trees. Serene Solitude. In May of this year, I was able to attend the first ever Sword Family Reunion for my great-grandparents Jock & Agnes Sword’s descendants held in Levuka, Fiji. The four photos I have chosen above from the reunion represent the word “connection” in different ways to me. Photo 1: painting my ancestors graves gave provided a way for me to give back to my great-grandparents, Papa’s siblings and their families. This activity connected me to a past I never knew. Photo 2: the Sword family crest/coat of arms. This connects me to my Scottish heritage. Photo 3: This is less than a third of my great-grandparents descendants. The reunion connected me to my Pacific region family. Photo 4: I jumped off that bridge in Levuka regardless of sea snake stories. I wanted to have a story to connect to my Papa and my dad who both jumped off that bridge during their childhood years. This bridge doesn’t just provide a physical connection between separated land masses. It connected me to my dad and my Papa’s experiences. 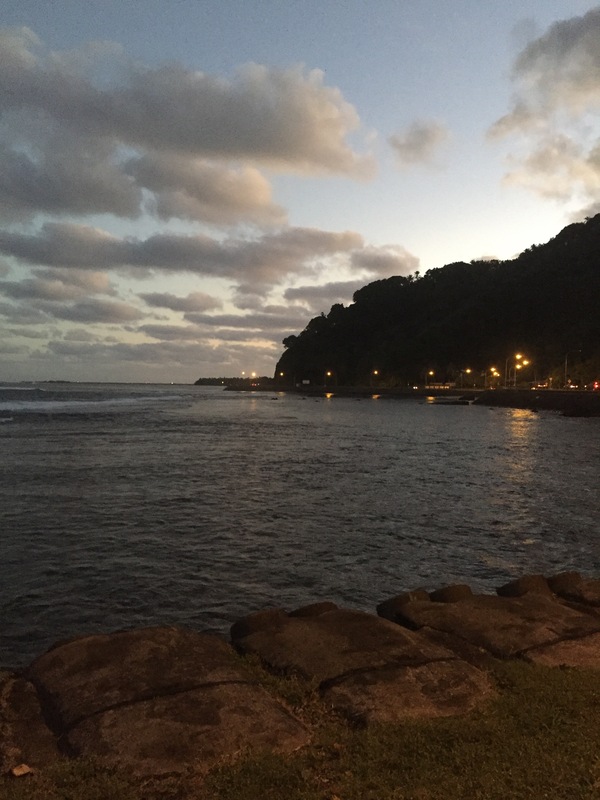 I chose to write about my experience in Levuka because I have finally made a connection to my Fijian ancestry. I never had a real connection to my Papa’s side of the family because I grew up in American Samoa and his family is from Fiji. I’ve always had questions about his parents, his siblings, his hometown of Levuka and what life was like for him being born and raised in Fiji. My dad has told me stories of trips they’ve taken to Fiji with my Papa (his dad), but I never felt a connection. Going to Levuka connected me to my Papa’s family in more ways than one. I saw how different yet similar many of us are. I experienced a very unique combination of cultures seeing as my Papa’s siblings settled in various places around the Pacific region. I learned to value my Fijian heritage as my dad always has. I heard stories of joys and heartaches that made the Swords who they are from different branches of his family, my family. I cultivated a love for people, my family, whom I never would have met if not for this reunion. I witnessed a wonderful connection between the children of the Fijian Sword siblings, which has been passed on to my generation of cousins. I can now cross Levuka off my bucket list of places to travel to. I am thrilled with what I have learned about my connection to Fiji. Next stop is the origin of the Sword name, where my great-grandfather is from, SCOTLAND. My rendition of the “One Shot, Two Shot” challenge for Day 3’s theme, Water. The idea of the challenge was to take the same scene horizontally and vertically. 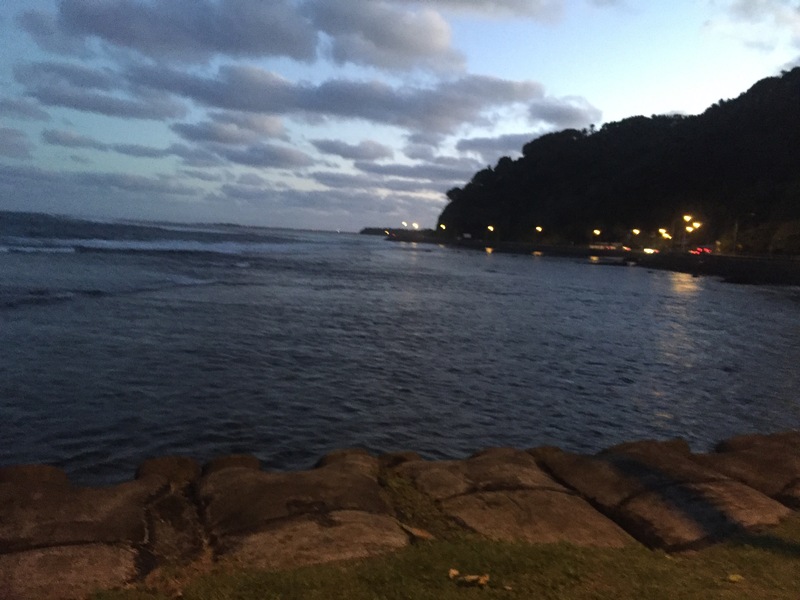 Today I decided to go for a walk/jog along our sea wall specifically for this challenge. These photos do no justice to the actual view while you are running/walking along the coastline. Then again, I was using my iPhone. Can’t go wrong with iphoneography.